Every online content creator knows the power of social media. And when it is done correctly, it can be an important tool to increase one’s online presence. This is why a lot of businesses are gearing to this direction because of its potential to drive more prospects to their companies. 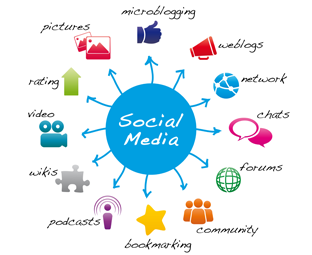 Having a social media marketing plan can help in organizing your plans to achieve your goals in the future. Your social media marketing plan should include your goals for your business and tools on how you can achieve them. One of the most excellent ways to improve your social media marketing plan is the use of SEO tools. In this article, we will learn about 4 SEO strategies to improve your social media marketing plan. Here are four tips for adding SEO strategies to your social media marketing plan. Impressive graphics naturally attract people’s interest to your post. This is why infographics are very effective in communicating key information to people quickly. It presents graphic information to readers and grabs their main focus. If you think that SEO keywords can only help in getting it show up in the search results, adding it to infographics is a great way to attract people’s interest to your post which will eventually lead them to your other posts. Having an attractive infographic also puts your credibility on social media and improve the quality of your social media profile. If you want to incorporate SEO into infographics but don’t know how to find an SEO company that you can trust who can make this happen for you. If you have a website and you want to get more traffic, one effective way of doing that is to link up your website to your social media account. To do this, create an introductory post on your social media page and put a link to your website. You can make use of social media platforms such as Facebook, Instagram, and Twitter. Make this post as catchy as possible, enough to attract people into clicking your link. This way, you will have more chances to improve the traffic by numbers to your website. Hashtags are important to your social media profile. And if you know how to use it strategically, you can also drive more people to visit your website and improve your social media marketing plan. If you want to run a social media campaign to promote your business or brand, make use of a hashtag that you can incorporate to your SEO keywords, and when people use these, you get to catch people’s attention. It is important that you reach out to your visitors more often for them to get a personal touch from you as a business or a brand. You can offer them some giveaways and incentives. You can incorporate running a campaign such as whoever gets the highest numbers of comments and shares gets to have a prize. Strategies like this make people respond positively to your social media profiles. We hope this article has helped you in learning about few strategies that you can follow to improve your social media marketing plan. Let us know, if you have any suggestions in the comments below.